How do you show your loved ones you’re thinking about them when you’re not WITH them? As summer starts to come to an end and we get back into a more regular routine of school and work, those long summer days of family time are replaced by long days at school and at work. 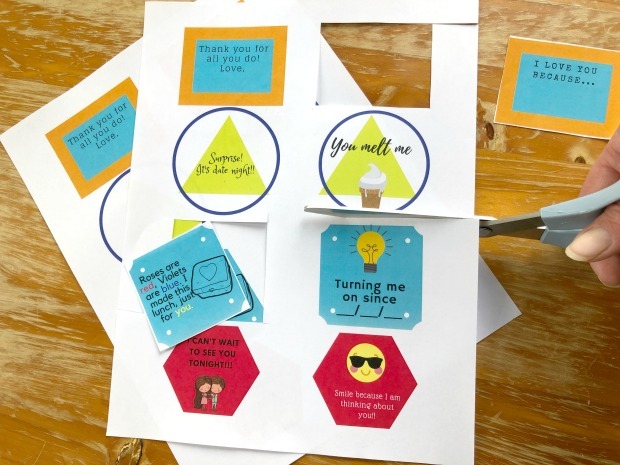 But, even though we might not be physically together, there are ways to let our kids and spouses know that we are still thinking about them throughout the day. One of my favorite ways to do this is by packing lunches that I know will be enjoyed. For example, my husband is a BIG pretzel fan. When he has a sandwich for lunch, his choice of side is always pretzels. He likes that the convenient 100 calorie packs let him have a few with his lunch and then continue to snack on them throughout the afternoon. 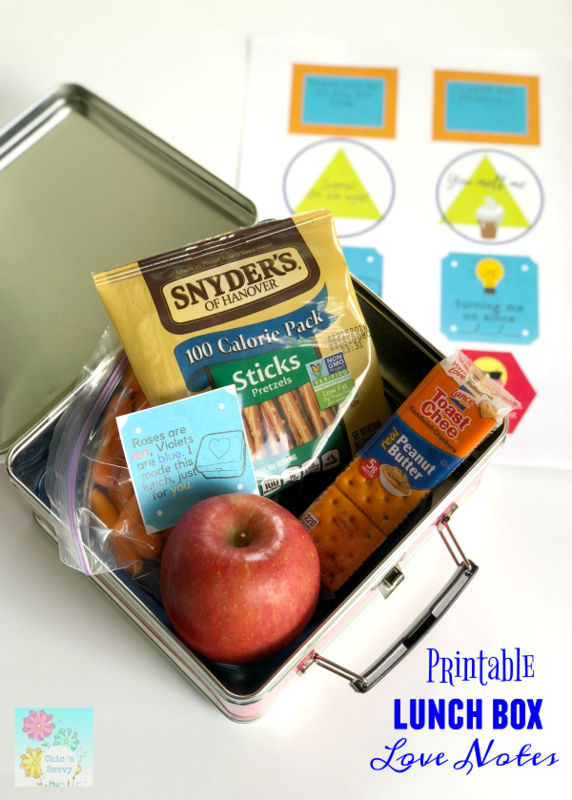 Since I know that, packing Snyder’s of Hanover lunch packs in his lunch makes him happy and lets him know I care enough to make him a lunch packed with love. If he’s packing a snack for me, he knows to include Lance Toast Chee! 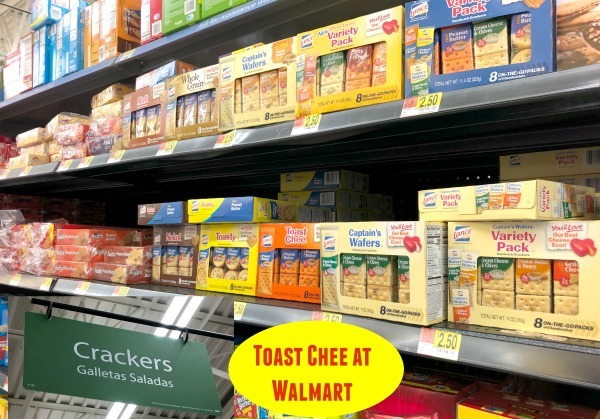 I have loved these classic cracker sandwiches forever! I especially like them because they really fill me up (thanks to the 5g of protein). And, of course, they taste delicious with those crispy crackers with real peanut butter between them. (Side note – I’m also glad they contain NO no high fructose corn syrup.) 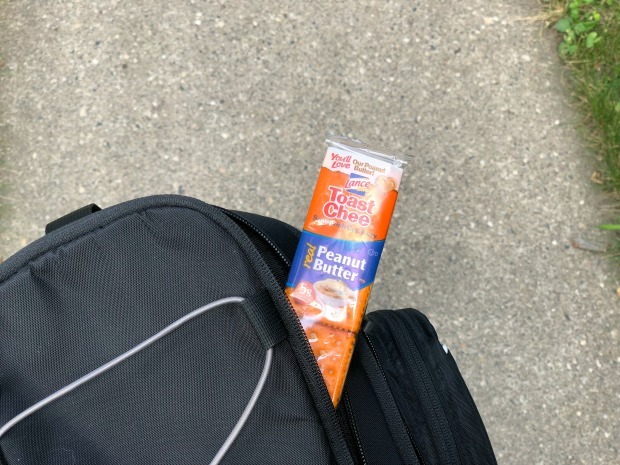 When we go bike riding, he always makes sure to pack Lance Toast Chee Crackers in his saddlebag for me because that cycling makes me hungry! Another fun way to let my hubby know I’m thinking about him during the day is by including a little lunchbox love note. 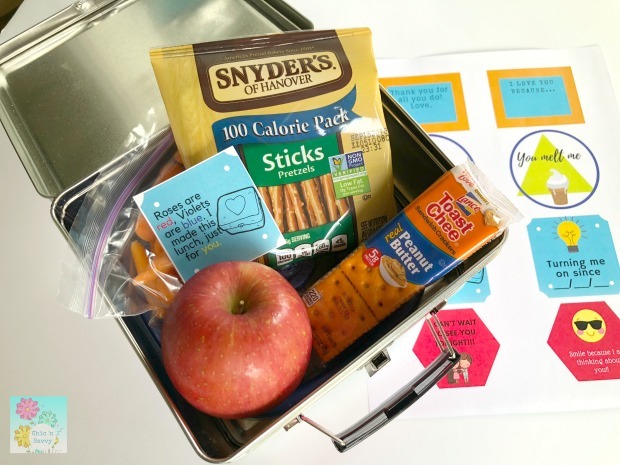 While we have shared lunchbox notes for kids here before, grown-ups need those reminders of love too! 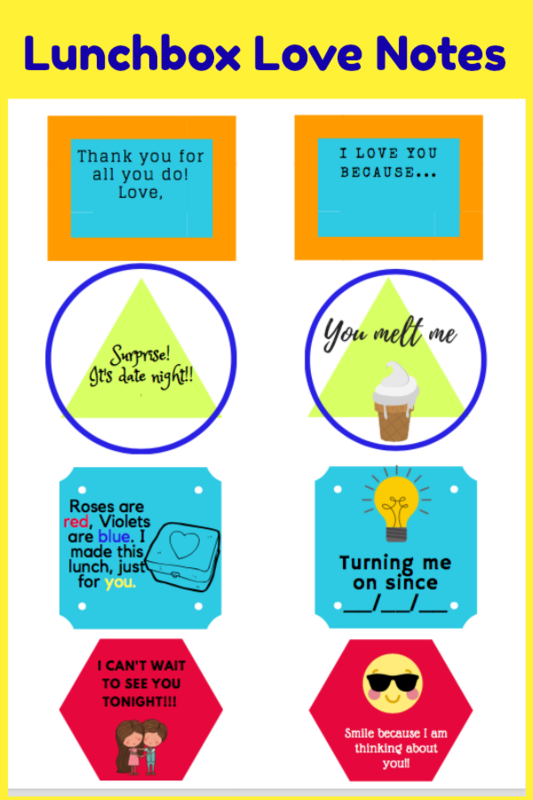 To make it easy for you to make your own lunches packed with love for your husband, wife, partner or significant other, we have these fun printable lunchbox love notes! Using the lunchbox love notes is simple. Just print them out HERE using either regular copy paper or, even better, heavyweight paper. Then cut them out, add your own personal touch and slip them into their lunchbox. 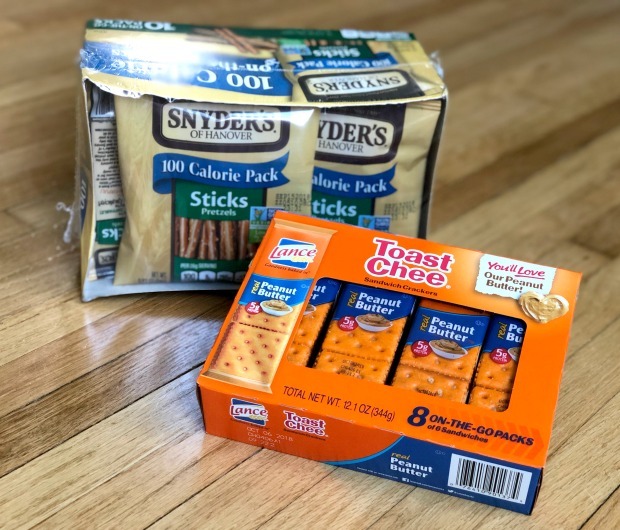 If you want to be sure they find it, you can even tape it onto the front of their Snyder pretzel pack or Lance Toast Chee! From 7/16/18 – 8/26/18 you have a chance to win some fabulous prizes in the Back to School Mega Event Sweepstakes! Prize winners will be selected weekly and each prize will be packed with love in a lunchbox. Check out all the prizes available! 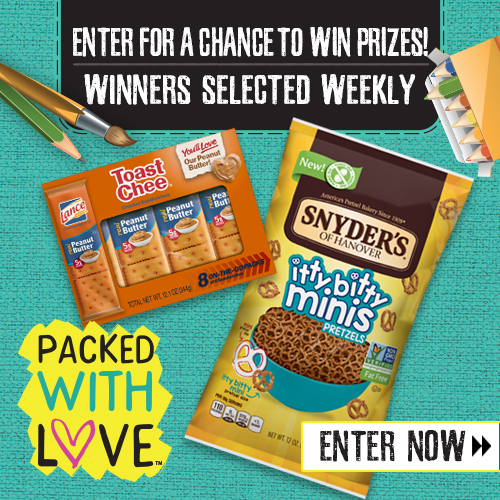 Just head on over to enter the sweepstakes HERE and while you’re visiting, be sure to check out more fun lunch packing inspiration! These are really cute lunch box love notes. Thanks for sharing!